Amethyst was one of the most valuable gemstones for centuries. It was a symbol of wealth and power. 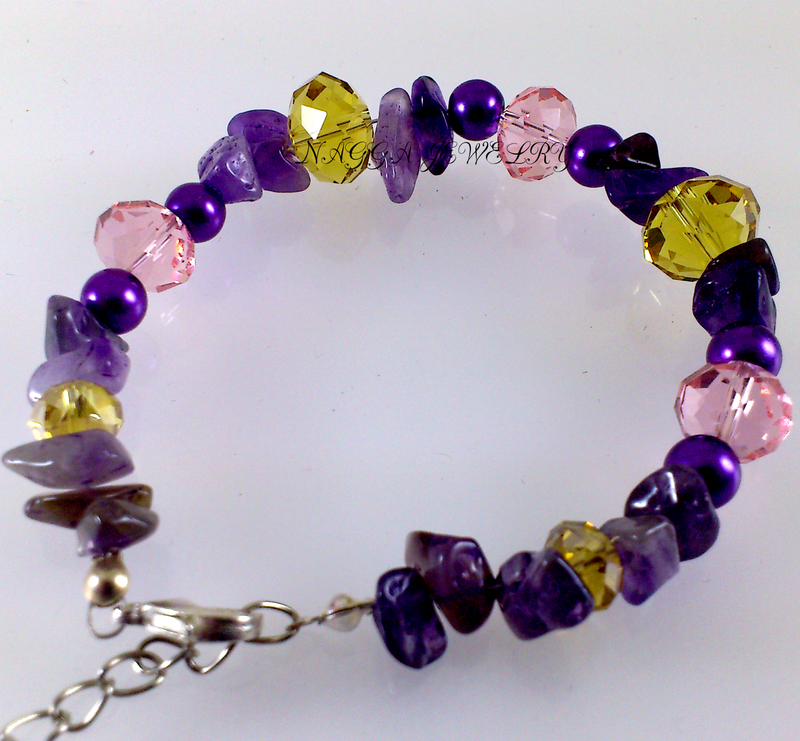 Today it is known as the birthstone for February. 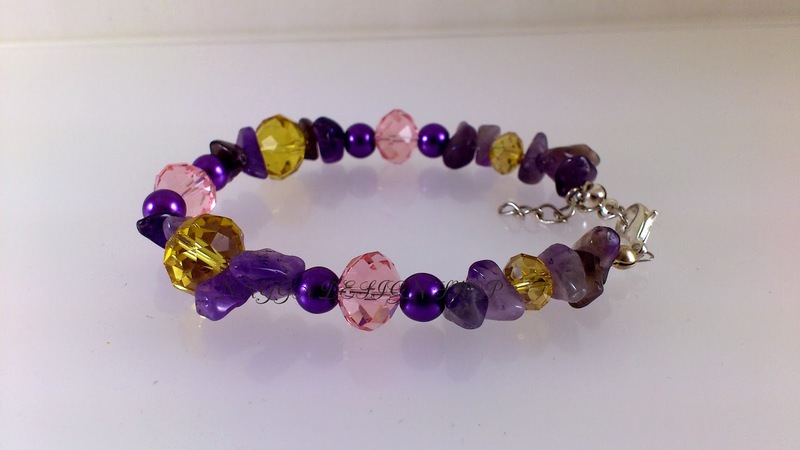 That's why this week is dedicated to amethyst jewelry. 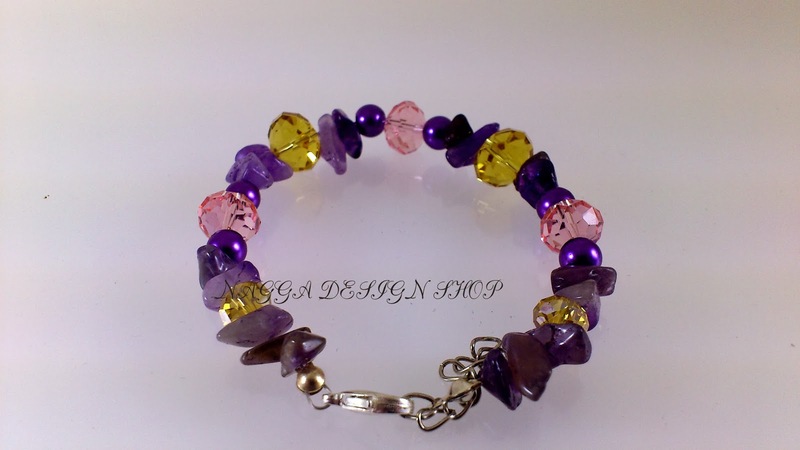 This bracelet is an ideal accessory for shirts,blouses,dresses,knitwear. 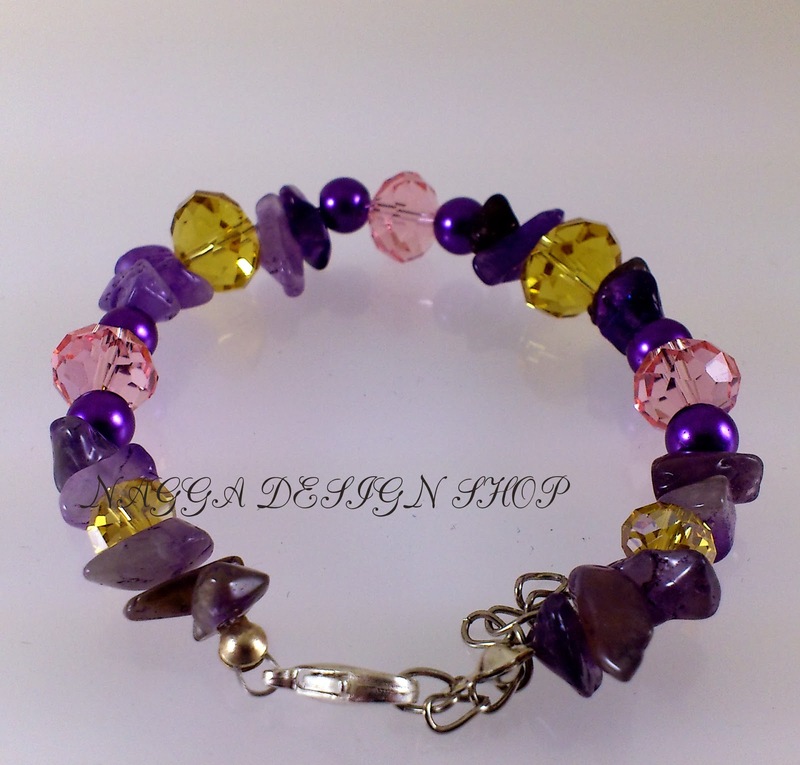 It is made with combination of amethyst chips,purple glass pearls,soft pink and yellow faceted glass beads and metal findings.